Employees that work like this frequently may burn out trying to meet the company’s goals. This is even worsened when their efforts go thankless or even unnoticed. Luckily for employees, there is a program that acknowledges their efforts for working hard through the Employee of the Month award. The Employee of the Month is a company program that honors the work of an employee by giving them special recognition for the month they have excelled. With this award comes “goodies” the employee can bring home such as gifts, gift certificates, incentives, perks, and certificates to legitimize the award. The Employee of the Month recipient is usually chosen by either the management or by their colleagues who are aware of their efforts. It is important for the employee to be recognized and honored. The very fact that this program honors hard-working employees will allow others to acknowledge their efforts. This can serve as a great motivational tool for everyone in the company to perform better as they strive to obtain the award. What should be in your Employee of the Month certificate? By putting the name of the company in the certificate, it gives it more value and legitimacy. In doing so, not only are you acknowledging the company but also giving it its due respect. This will also help the employee in the future, as it can serve as a reference for other employers, should they move on to another job. You may also see PSD certificate templates. 2. Name of the recipient. The most important piece of information in the Employee of the Month certificate is the name of the person you are giving out the award to. 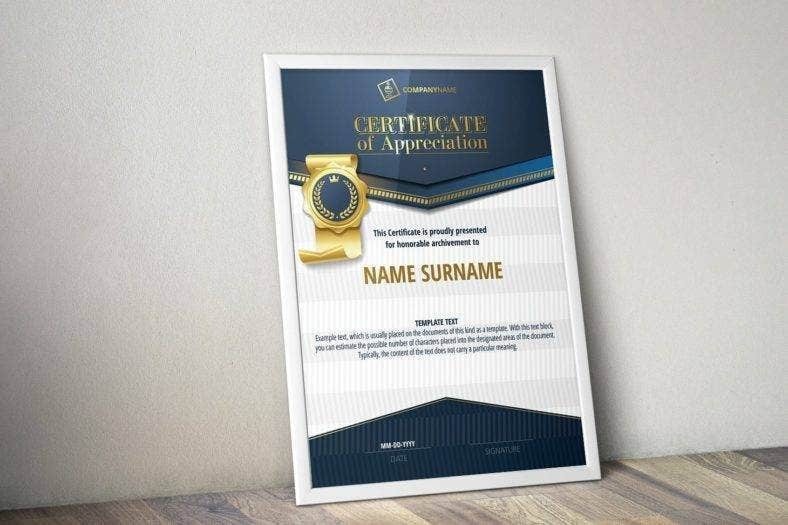 Also, the employee’s name should be the biggest text in this certificate to make it readable and more easily recognizable for the recipient and for the others, as that is the very purpose you are giving out this award: to give recognition to the employee. 3. The kind of award or certificate. Give this Employee of the Month certificate a label. To do so, identify what it is you are handing it out for. 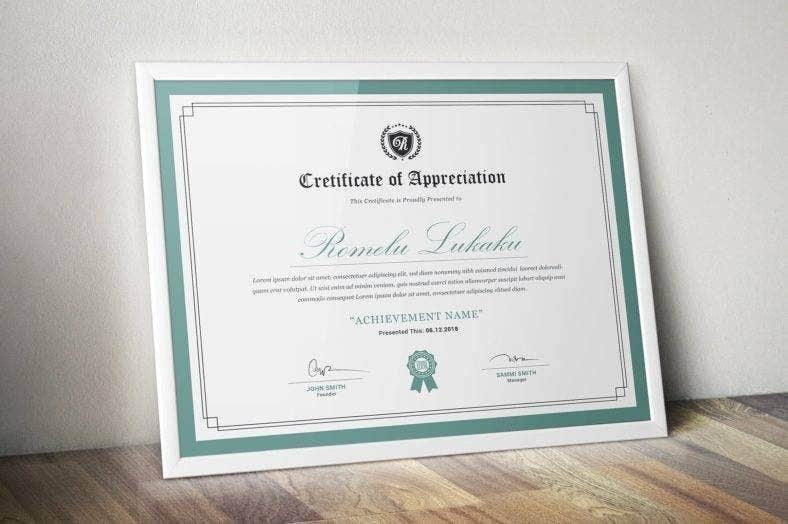 Whether it be a “certificate”, “award of excellence”, or “token of appreciation”, state this at the very top of the certificate or at the top of the recipient’s name – the choice is yours to make. You may also see employment certificates. 4. Names and signatures of the manager and CEO. 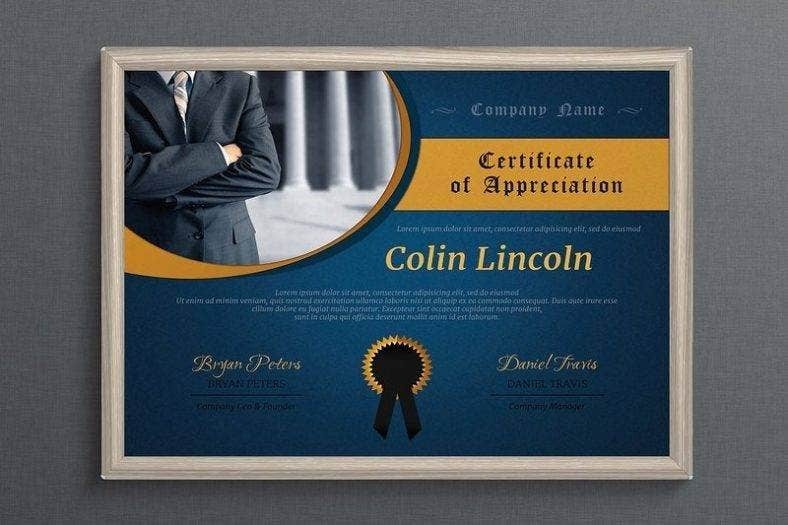 It is important that there are the names and the signatures of the manager or department head and the CEO or the president of the company in order to fully legitimize the recognition for the employee. In doing so, this will give it more credibility when you acknowledge the efforts of an employee. You may also like word certificate templates. This text should state and/or answer the question “Why?” ‘Why did he or she get the award?” “Why is he or she the employee of the month?” You can maybe put, “For their overall excellence in performing their duties” and so on. You can put this box of text either at the top or at the bottom of the recipient’s name, depending on your preference. You may also see a certificate of appreciation. What is the importance of an Employee of the Month certificate? Certificates, in general, hold some kind of importance and sentiment to the person receiving it. As much as it is a way of giving an employee recognition for their hard work, it is also a representation of the days the employee spent working hard in the company. 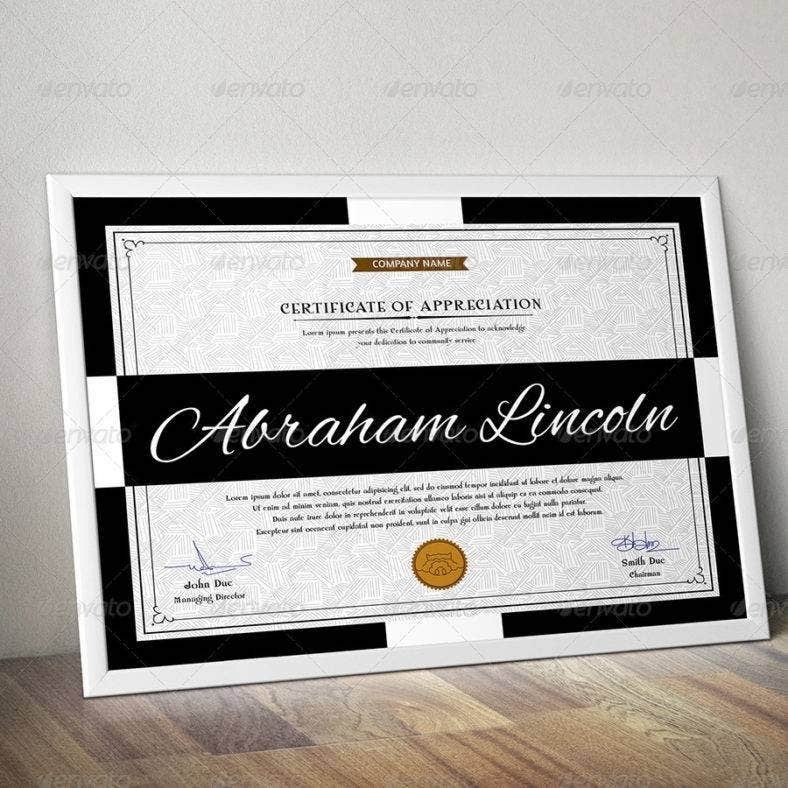 Certificates magnify the achievements a person has made throughout their career, so when people receive or get awarded a certificate, they tend to keep it in a special place or frame it for people to see. It gives them a sense of pride. It show that they worked hard for that honor and recognition. Here are several reasons why an Employee of the Month certificate is important. 1. It values the person and the work done. The employee of the month certificate’s very purpose is to give honor and recognition to a person and their work. Essentially it is important as it gives the person the appreciation and recognition he or she deserves for working so diligently in the company, in turn, making the person feel valued. You may also see experience certificate templates. 2. 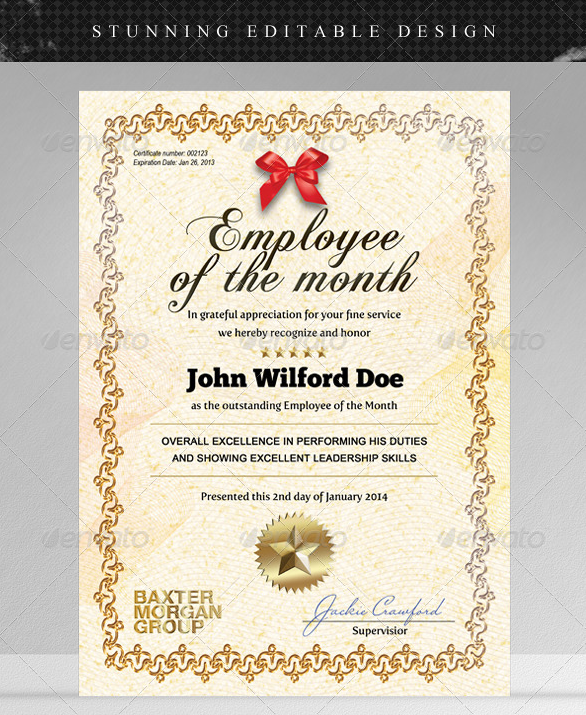 The employee of the month certificate helps employees perform their best at all times. As humans, by nature, we have the need to feel validated and appreciated with the work that we do, and when we are, we tend to feel encouraged to perform better. An Employee of the Month certificate has that effect. It encourages people or employees to perform their best because their efforts will be recognized. You may also like salary certificate templates. 3. These certificates have the capacity to boost your employees’ confidence with work and eagerness to perform at the top their games. And when they are, it is both beneficial for them and the company they are working for, because when an employee is eager to work he or she could be an ideal candidate for the award, in turn, helping meet deadlines and quotas along the way. 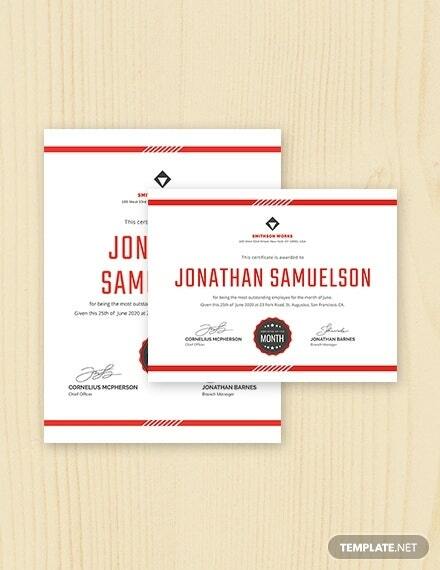 You may also like internship certificate templates. 4. Handing out tangible tokens of recognition to employees by means of a certificate may reward your company with happy employees. Happy employees are integral to a company or small business as they increase productivity at work, and when employees know their efforts are valued by the company they work for, they are happy and satisfied which then leads to them performing more and better. 1. An employee of the month certificate is cost-efficient. Not a lot of money has to be shelled out in order to materialize your company’s very own Employee of the Month certificate. Having a professional graphics artist do everything for you can be expensive. By buying and downloading a premade certificate, it will not cost you as much with prices ranging from $6 – $10 each. You may also see work certificate templates. 2. 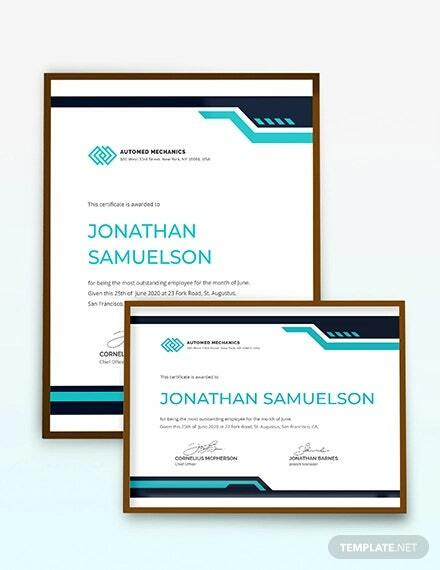 These premade certificates equally exude sophistication, class, and professionalism amidst their simplicity, which can help reflect your business’ or company’s ideas and branding. 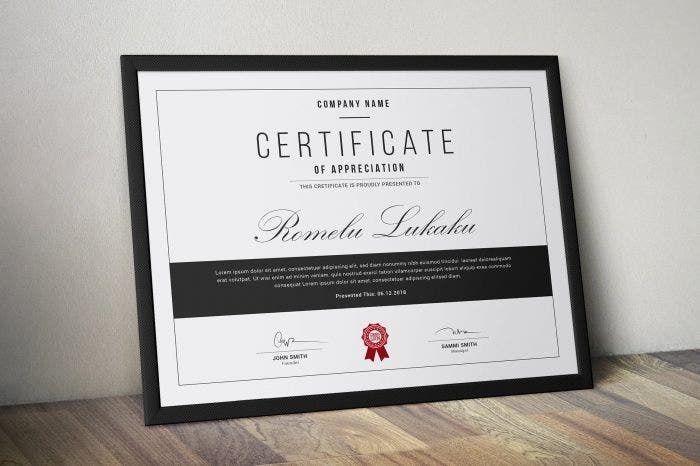 When you decide to hand out certificates or any paper for that matter that has your company name on it, it is crucial to make sure they elicit the same kind of aura your business actually exudes. If you are a sophisticated and a professional business, it is equally important that your promotional mediums reflect the same. 3. All of these premade designs come in different designs that can perfectly cater to your business or company’s brand. 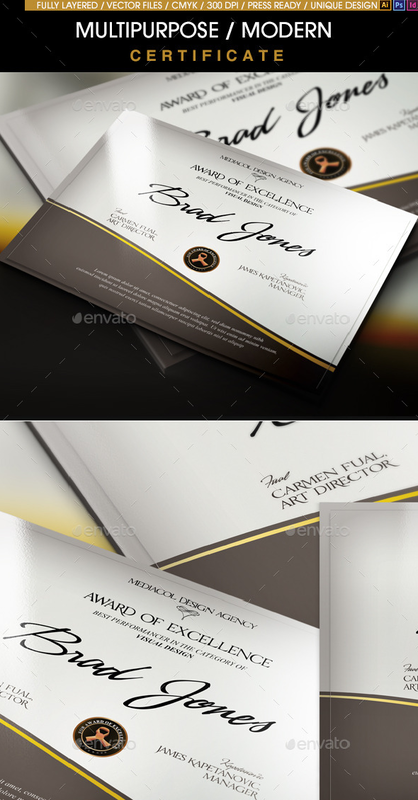 There are minimal designs, elaborate designs, and even modern designs for your Employee of the Month certificates. There are different designs made for anybody and everybody. 4. 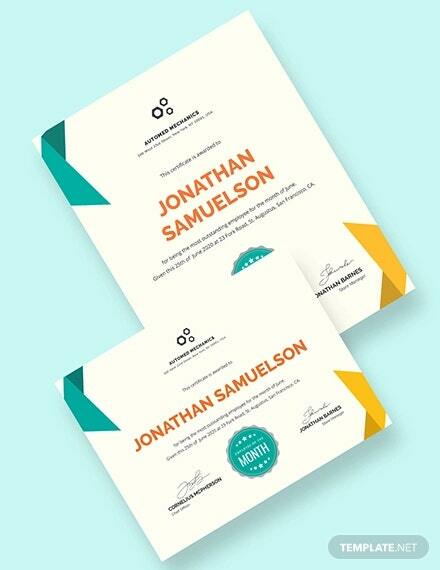 These certificates also come in different sizes. 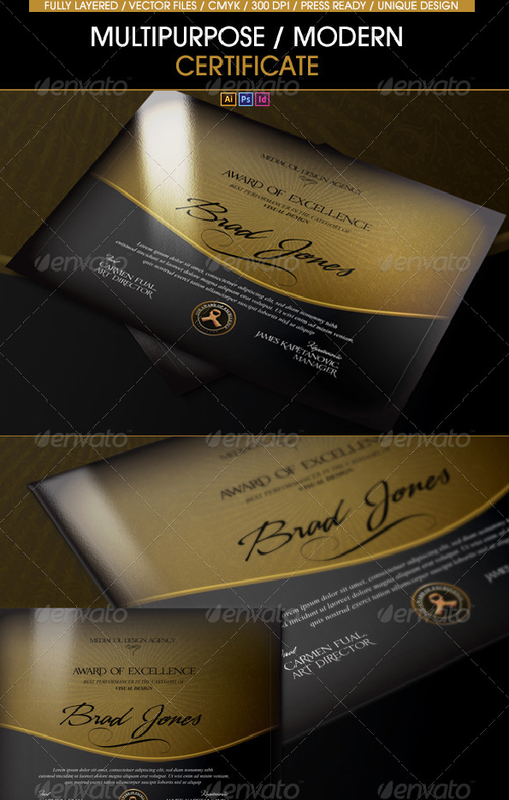 With premade certificate designs, sizing is not an issue as these designs also come in varying sizes. 5. 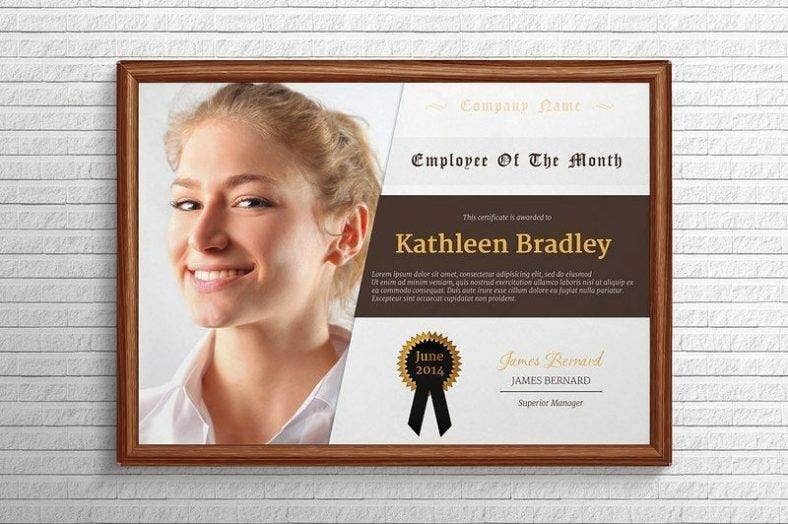 These Employee of the Month certificates are easy to edit and customize to your preference. Especially since most of the editing needed is with the text, it will not be such a heavy task since all you have to do is put in the text needed for the Employee of the Month certificate and then it is print-ready. Some designs also offer smart object layers that will give you the option to move objects around in the certificate to fully personalize and customize the design. You may also see sample certificate templates. If this article has helped you in any way, bookmark this page for future references. And kindly share this with other business owners, company heads, managers, or department heads who are seeking the best and effective Employment of the Month certificate designs and templates.